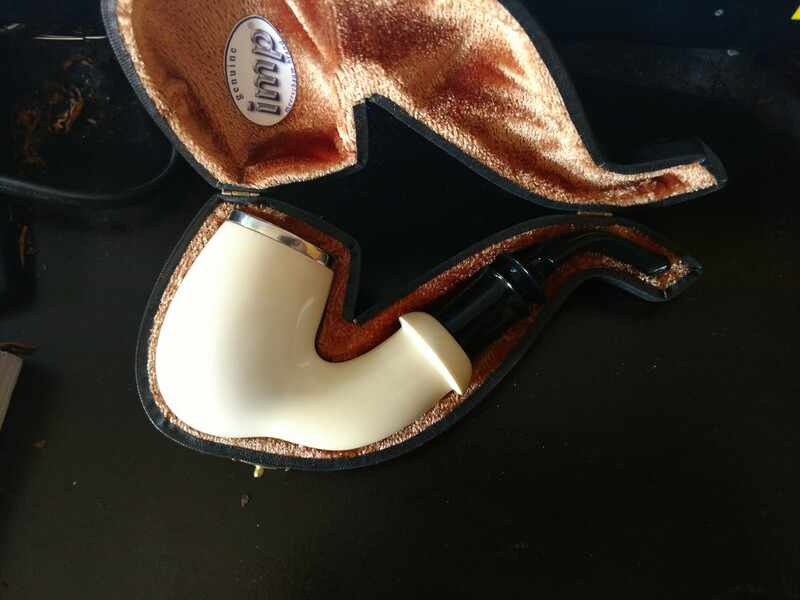 Probably my favorite pipe maker and I'm sure there's plenty of us with at least one. These are my two oldest. Almost identical in design and marbling, you just can't see it in picture. 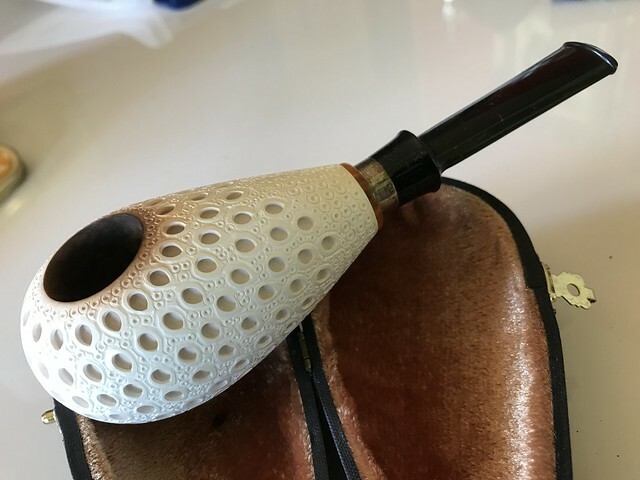 The stem on the unsmoked one is black with gold stripes which also doesn't show in pictures, but probably my favorite looking stem. 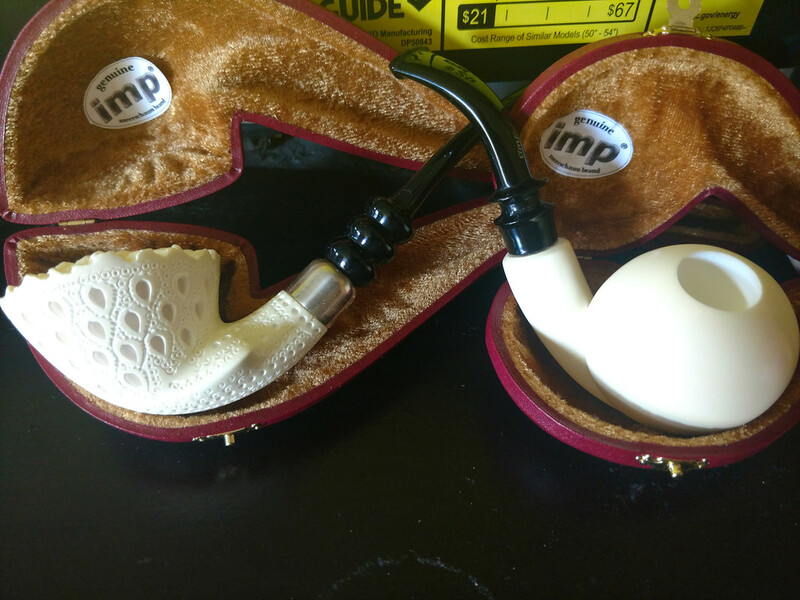 The two IMP pipes I have. 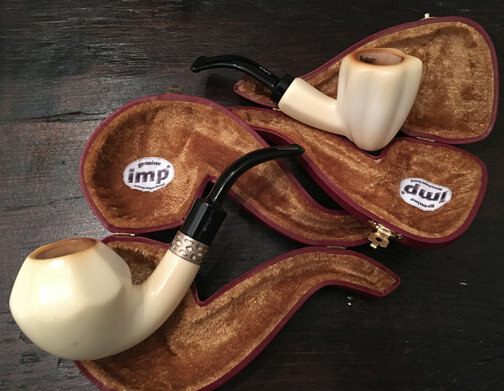 Picked them up a year or two when Smoking Pipes was getting in a ton of them and selling them at something like half price. Pictures are from sometimes last year. 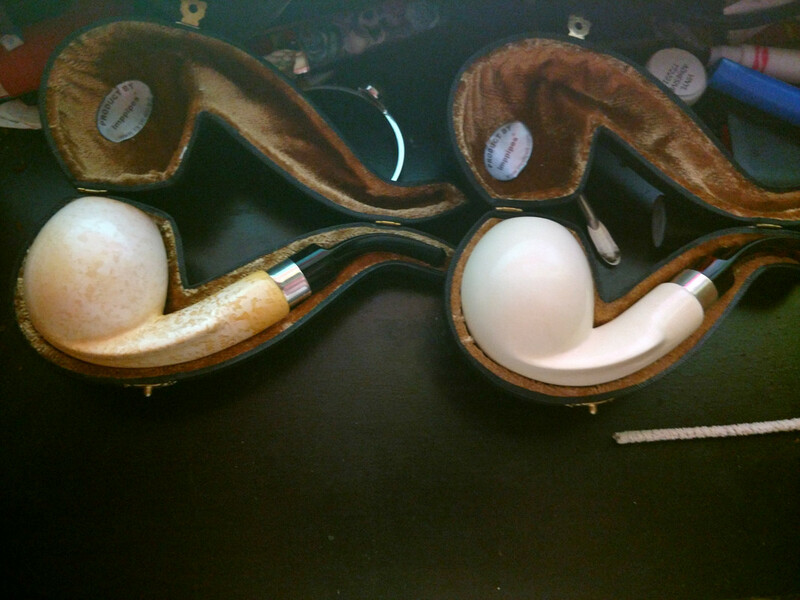 Great pipes for sure. I'm normally not a fan of the overly carved meers by I love my drumstick! I’ve only got one. I don’t smoke it often enough because it’s freakin huge, but it’s a great pipe. @Morse gave it to me as a gift years ago. Here it is in its natural habitat next to a @snake tamper. My two IMPs. Also bought from SP during their sale. Both are quite excellent smokers, though the pickaxe is my fave of the two. the pickaxe is my fave of the two. Mine too. I don’t get tired of seeing that pipe. Beautiful IMP’s. Here is one of mine. I have two - a Rhodesian and a small acorn. Each are GREAT smokers, and love 'em both! A big fan of IMP. My first big boy meer. 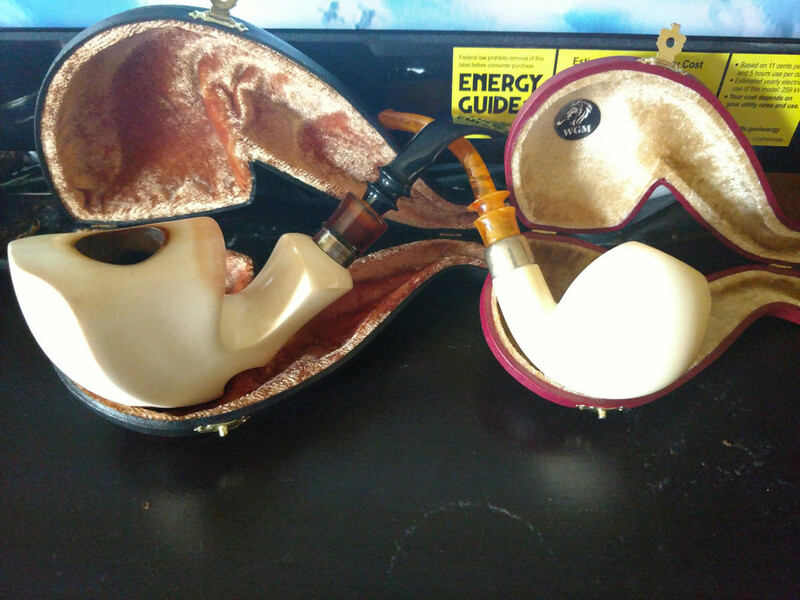 Some accuse me of meer abuse. The scratches and dings don't show well in this shot. But trust me they are there. Impressive coloring on pick axe it seems like those rusticated ones take a long time to color deeply in my experience.